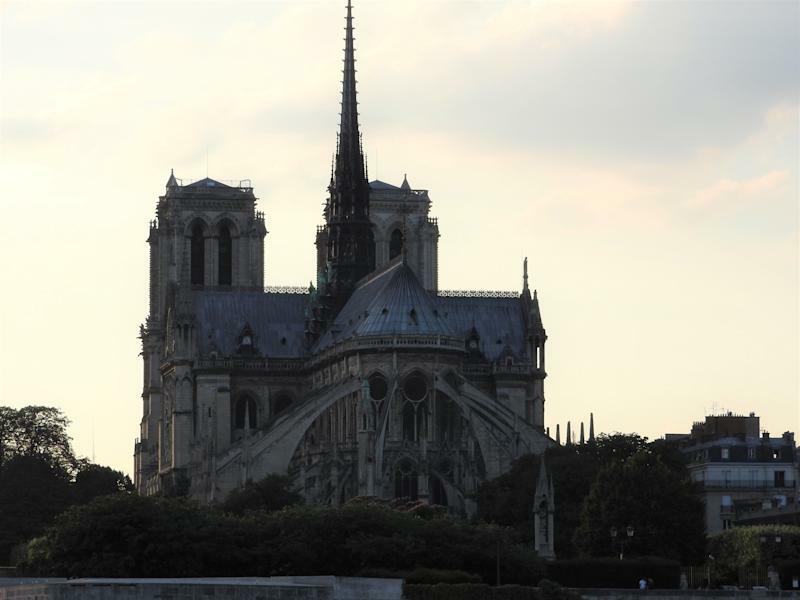 A view of Notre-Dame from the Seine. 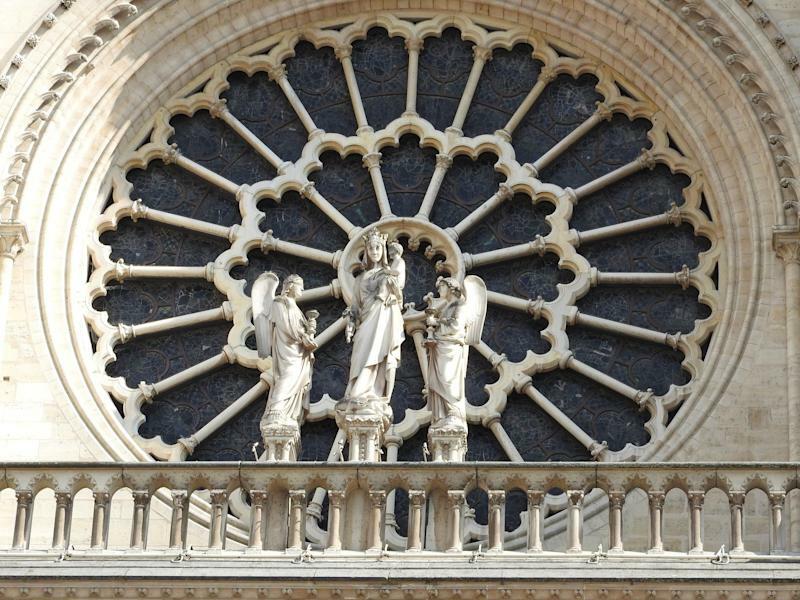 Notre-Dame took around 100 years to build. 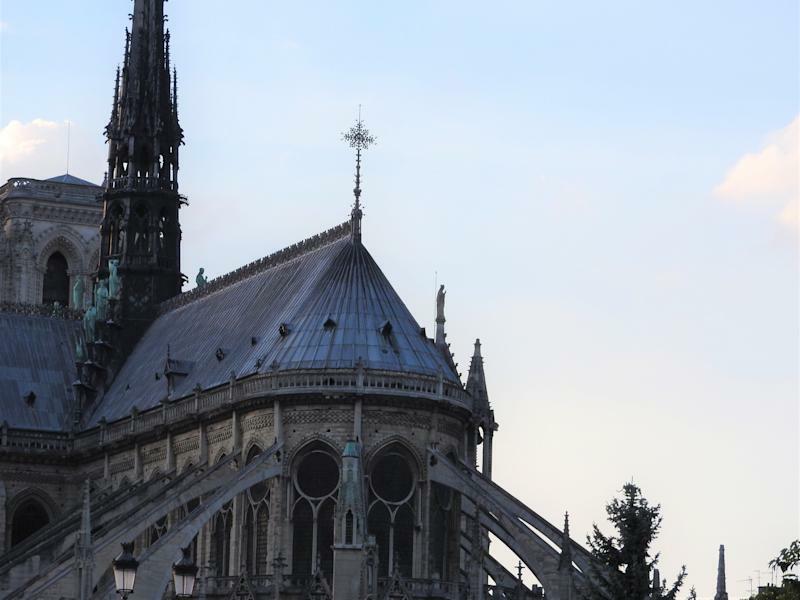 The spire was restored in the 18th century but was destroyed in the 2019 fire. 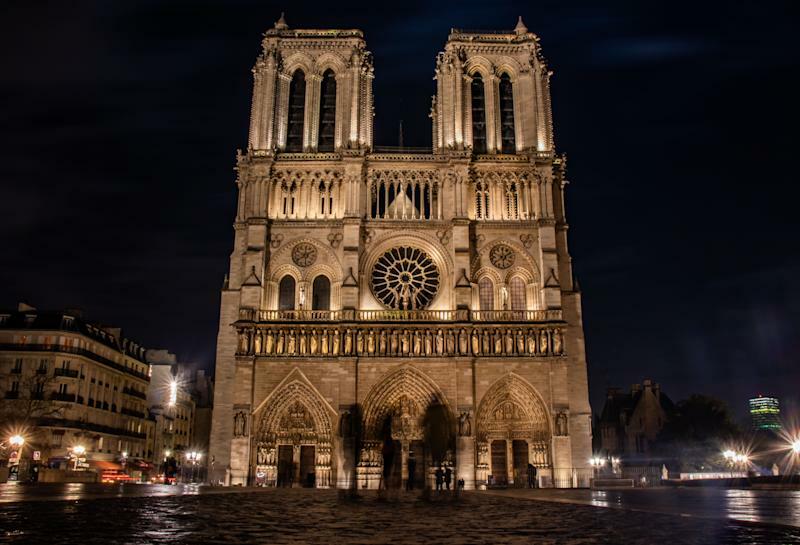 The bell towers were once the tallest building in Paris. 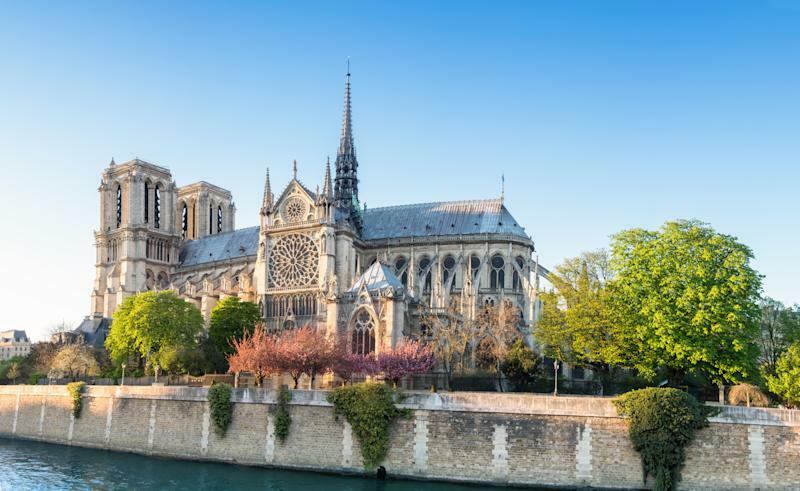 On April 15 2019 a fire started, believed to be linked to restoration work, destroyed the spire and the cathedral roof.